An aquarium is one of the most common yet acquired hobbies. It can become a passion for fish-lovers in no time. The beauty of an aquarium is unmatched by any other article, especially when it’s filled with brilliantly colored tropical fish. 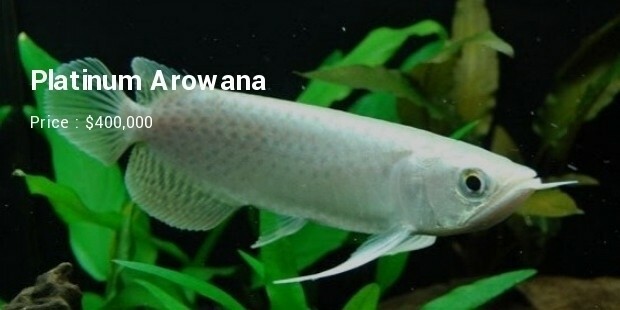 Certainly the most expensive saltwater aquarium fish, the Platinum Arowana is priced at a costly $400,000 in the US. This valuable fish is even implanted with a microchip ID to help identify and authenticate it. The expensive rate is due to the rare genetic mutation that results in the peculiar color of this fish. The Polka Dot Stingray is the second most expensive and one of the rare saltwater aquarium fish. It carries a $100,000 price-tag. 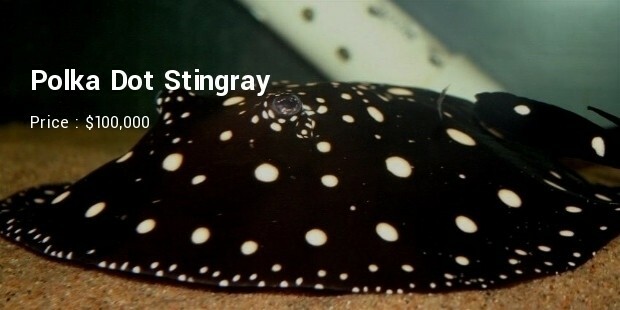 It is mainly remarkable from other types of stingrays due to a U-shaped front instead of the normal round-shaped front seen in stingrays which is caused due to a rare genetic mutation. 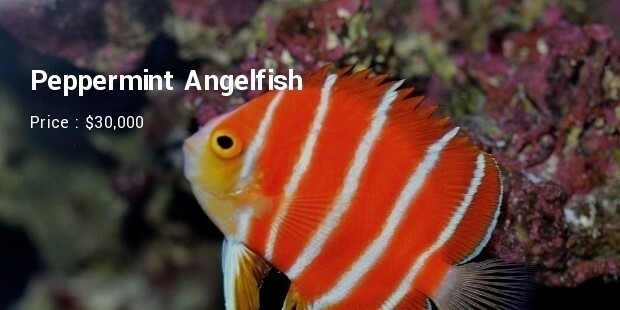 One of the rarest of all saltwater aquarium fish available today, the Peppermint Angelfish in priced at a heavy $30,000. This is a deep-water fish and is very hard to acquire. 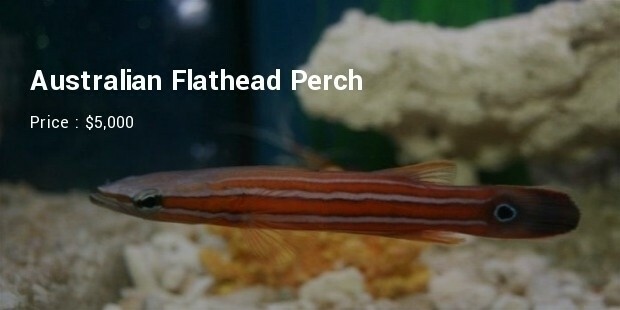 The striking red stripes on white give this beautiful fish its unique name. This rare Caribbean fish comes at a price tag of around $10,000 today. It comes in colors ranging from brilliant orange to pure white and has a unique blade-like dorsal fin. Reaching a maximum size of just about 1.5 inches, this quirky fish is a deep water reef-fish and hence hard to acquire which justifies the high price. 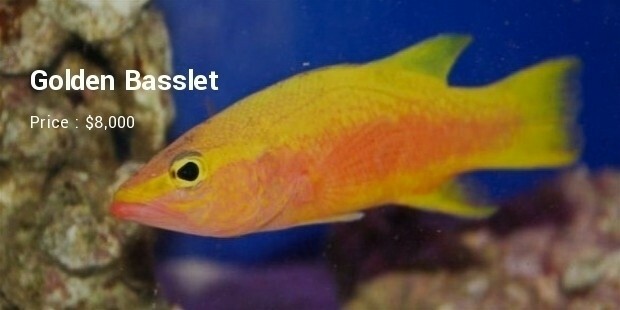 The Golden Basslet is priced at around $8,000 and is found both in the Pacific and the Atlantic. 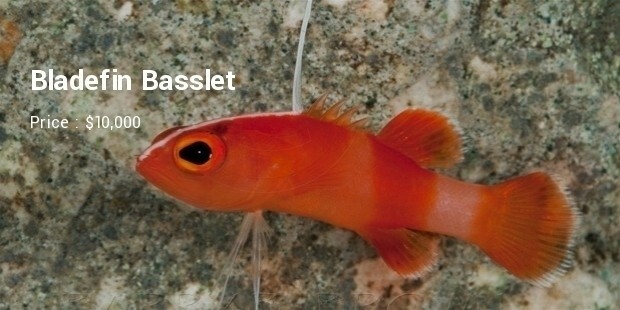 This is also one of the rarest aquarium fish as it finds it difficult to adapt to captivity. These are deep-water fish that require special equipment to acquire them, and even then, these are likely to be hidden in the aquarium and rarely show themselves. This vividly-colored fish is also one of the rarest to be found on sale, it still goes for around $6,000 today. 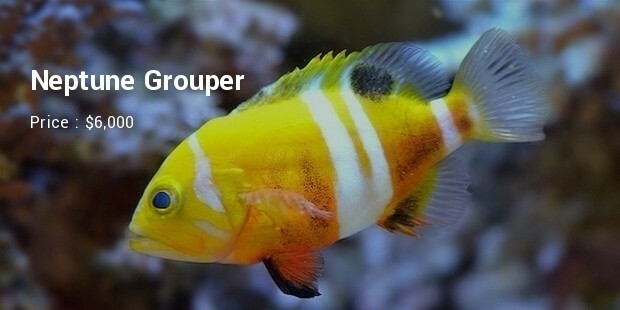 As it is a deep-water fish it is very difficult to acquire, this, and the stunning combinations of colors on it, makes it one of the most expensive saltwater aquarium fish. This is one of the rarest fish to be acquired and comes at around $5,000 and above, if found for sale. Indigenous to Australia, this saltwater fish is hard to catch as it swims swiftly between rocks for food and shelter. It has vivid colors and stripes that make it a visual treat. This Japanese fish is a collectors’ item priced at around $2,700. It reaches a maximum length of around 6 inches, is one of the toughest butterfly fish and quite rare too. These are aggressive swimmers and are fun to watch zipping around in the aquarium. 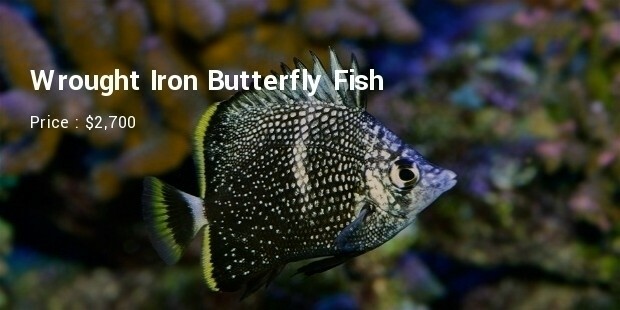 This is one of the most beautiful and rare saltwater aquarium fish. 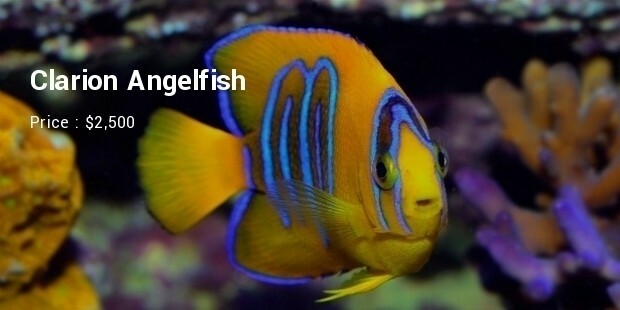 The Clarion Angelfish is priced at around $2,500. It has brilliant and vivid colors and is a rare collector’s item. This fish lives for around 40 years in captivity. Aptly-named, the Candy Basslet is priced at around $1,000. This is a truly beautiful fish and is considered as one of the most colorful of all marine animals. 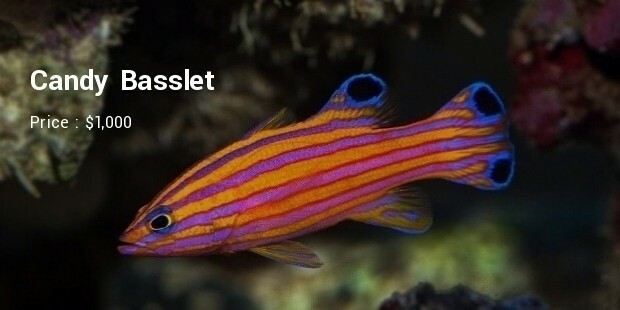 It is mainly found in the Caribbean and is hard to capture which makes it one of the most sought-after and expensive saltwater aquarium fish available today. These are the top-most expensive and most exotic fish for a saltwater aquarium and are mainly for the most passionate and acid fish lovers. The high price tags are mainly due to the fish’s rarity as well as appearance and nature. These exotic beauties are sure to add the most vivid and brilliant colors to the aquarium.